In her book, Think Like Zuck: The Five Business Secrets of Facebook's Improbably Brilliant CEO Mark Zuckerberg (McGraw-Hill Professional, 2013), author Ekaterina Walter details the elements that drive successful, entrepreneurial companies like Facebook. In this edited excerpt, she focuses on Zuckerberg's strategy of incorporating Facebook's culture in its hiring practices, recruiting for the right attitude, and not necessarily the right skills. Facebook treats its employees well -- free food, free dry cleaning, as well as a lot of other enticing benefits. But make no mistake -- the key attraction is the company's culture and the vision of its leader, Mark Zuckerberg. Zuck has "turned" many an engineer. For some critical hires, the conversation started with "No, thank you, I am not interested." But Zuck would then take the prospective employee on a long walk up a trail into the mountains (a tactic borrowed from his idol, Steve Jobs), a walk that ended on a hilltop with a breathtaking view and the culmination of Zuck's pitch, perfectly timed. That walk completely changed minds and showcased Zuck's vision. That Facebook's team is one of the strongest in the industry isn't the result of luck; it's the result of Zuck's strategic approach to hiring the best. The lesson: Develop smart hiring strategies consistent with your cultural values to bring the right people on board. The right people are not those who have the right competency; they are those who have the right attitude. Some of the most successful businesses have a nontraditional, strengths-based approach to hiring -- hire the best talent first, then worry about finding the right role for them. Facebook is one example of such a business. Facebook knows how valuable the right people are. A lot of times, they hire engineers for their skills and their vision of the future. Once a new hire is in the office, wondering what his responsibilities are, his instructions will be something along the lines of, "Take a look around, figure out what the problems or opportunities are, and help bridge them." The company encourages its workers to form teams around projects they're passionate about, because Facebook's leaders clearly understand that great work comes out of doing what you adore. Not only does this approach ensure that employees give their best to the project, but it also provides opportunities for career growth based on smarts and competence, not on credentials. In that sense, everyone is equal. You are recognized and respected based on your contributions to the improvement of the product; your résumé or your age doesn't matter. 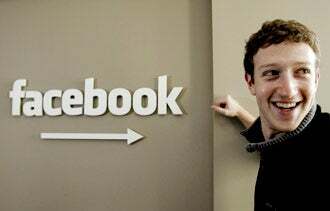 Facebook is a company where ideas turn into products whether you are an intern or the CEO himself. "Pixels talk," says Joey Flynn, one of the designers of the Facebook timeline. "You can do anything here if you can prove it." The flat management structure at Facebook supports that approach. There are very few vice presidents. Matt Cohler, Facebook's fifth employee, says: "We were determined to keep things as flat as possible. The harder we make it for people to invent together, the faster we fall behind." Andrew “Boz” Bosworth, who taught Zuckerberg’s artificial-intelligence class at Harvard and is now Facebook’s director of engineering, concurs: "God forbid we spend a single day not trying to prepare for tomorrow's Facebook. You've seen company after company that rose to greatness struggle with scale, struggle with culture." Offer your employees a nontraditional career path that is based on their contributions and value-based behaviors and not on their age or credentials. What's more, the best leaders recommend hiring outside of the industry. An outside look can offer a fresh perspective and often reenergizes the company. Steve Jobs was one such leader. He said: "Part of what made the Macintosh great was that the people working on it were musicians and poets and artists and zoologists and historians who also happened to be the best computer scientists in the world." Southwest Airlines is another company that believes in hiring outside of its industry in order to find the right people. The strategy must be working. For the past 40 years, Southwest has been challenging the conventional wisdom successfully. Despite being one of the smaller airlines, Southwest has not only stayed in business, but prospered, becoming a customer favorite and an industry darling. Sherry Phelps, top executive in the People Department, explains the company's hiring philosophy: "The first thing we look for is the 'warrior spirit.' So much of our history was born out of battles -- fighting for the right to be an airline, fighting off the big guys who wanted to squash us, now fighting off the low-cost airlines trying to emulate us. We are battle-born, battle-tried people. Anyone we add has to have some of that warrior spirit." Southwest's HR department prefers to recruit teachers, waiters, and police officers as opposed to airline industry veterans. "We would rather take an eager, hungry, customer-oriented mind and mold it to what works well at Southwest, than try to change the habits of someone who's come up through an organization that views life differently," Phelps says. Every now and then, Southwest hires employees of other legacy airlines. But according to Phelps, it doesn't happen as often as anyone might think. Southwest is a brand that understands what makes its employees tick and what attributes it is looking for in a new hire. And that attribute isn't necessarily prior airline industry experience. In 1962, John F. Kennedy visited the NASA space center. He noticed a janitor who was deep in his work, sweeping the room the president was touring. Kennedy greeted the man: "Hi. I am Jack Kennedy. What are you doing here?" Without any hesitation, the janitor responded: "I am helping put a man on the moon, Mr. President." Hire for attitude. Skills can be taught. Passion can't.